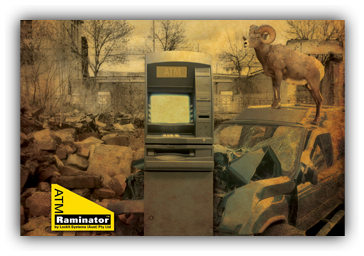 ATM Raminator® is the ultimate and proven vehicular ram-raid protection. Controlling simple physics, Raminator helps prevent ATM removal by brute force. This unique product is designed to absorb and redirect the fulcrum energy from attacking forces, thereby protecting ATM and assets.